On what turned out to be the hottest day of the year so far, we decided to go for Ramen. 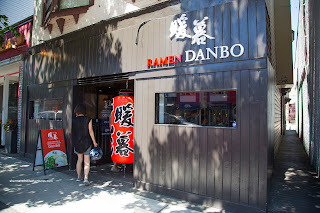 In fact, we went to the newly opened Ramen Danbo. Yup, the place was as warm as a toaster oven, but we wanted ramen and stuck with it (despite beads of sweat running down our foreheads). 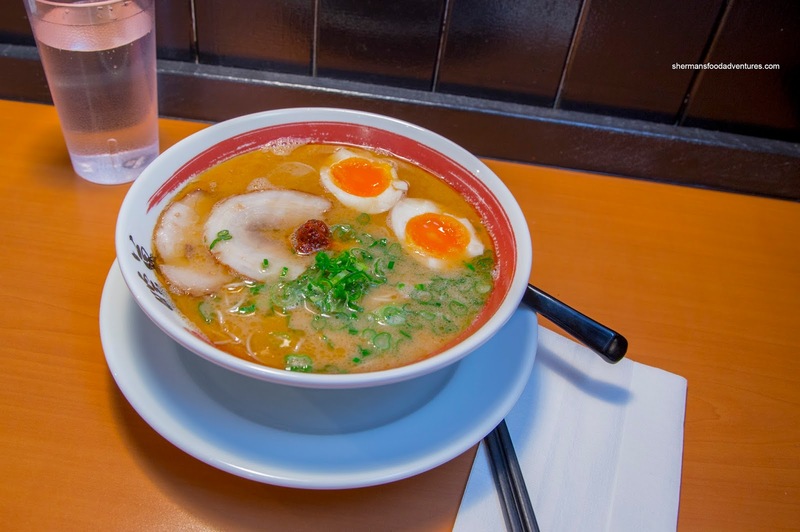 We were intrigued by their promise of authentic Fukuoda-style tonkotsu ramen where essentially only 3 types of broth were offered (all based on the same tonkotsu base though). 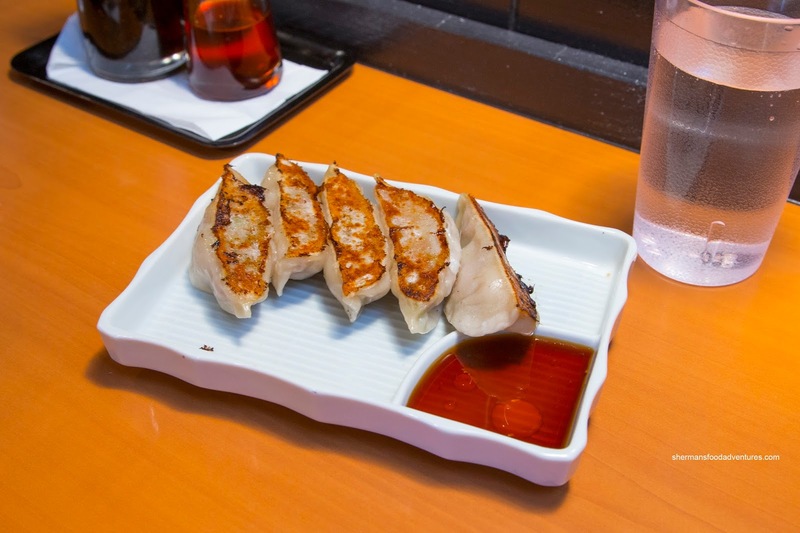 To start things off, we split an order of Gyoza which were crisped up with an appealing colour. I found the dumpling skin to be appealingly thin and chewy. Inside, the pork, cabbage and scallion filling was moist and not overly dense. As a baseline, Milhouse went for the Yakibuta Chashu Pork Ramen since it was essentially the classic tonkotsu ramen with extra pieces of chashu. 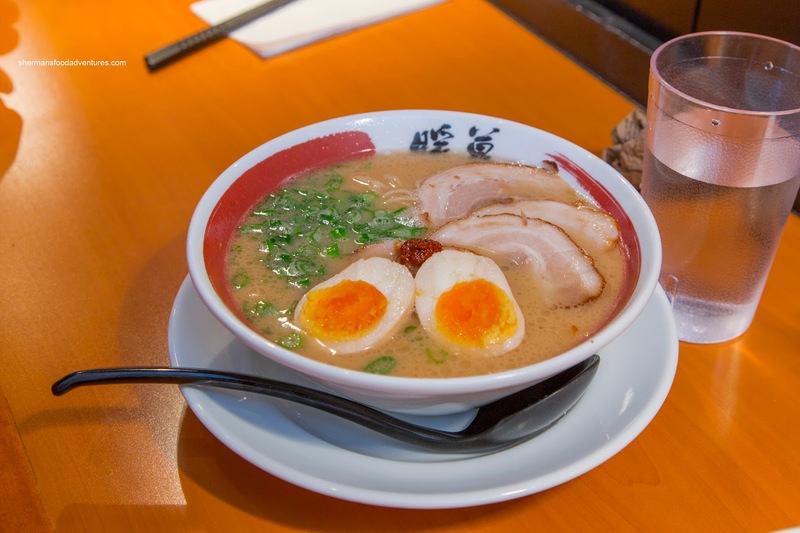 Made with specially-treated water, the pork broth was silky, slightly spicy and full-bodied in flavour. Ultimately, the final product was determined by our own personal preferences as we could choose the firmness of the noodles, fattiness of the meat, amount of lard and spice level. For myself, I had the Negi-goma Tonkotsu Ramen with fresh scallions, toasted sesame seeds and white sesame oil. Interestingly, I didn't notice any sesame seeds at all, but the aromatic sesame flavour still came through thanks to the oil. We all agreed that this was more impactful than the classic broth. I went for the fatty chashu and it was buttery and really did melt-in-my-mouth. I wasn't so fond of the egg as it was overdone. As for the noodles, they were thin and chewy similar to Chinese shrimp egg noodles. Since, the serving was pretty modest, I added a Yakibuta Takana Rice as well. This was not bad with chewy rice and fatty tender pork. 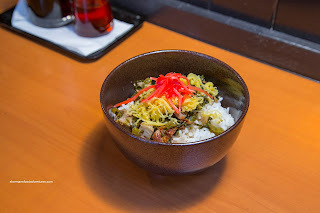 However, there wasn't enough of it in my opinion since I felt as if I was eating mustard greens rice. 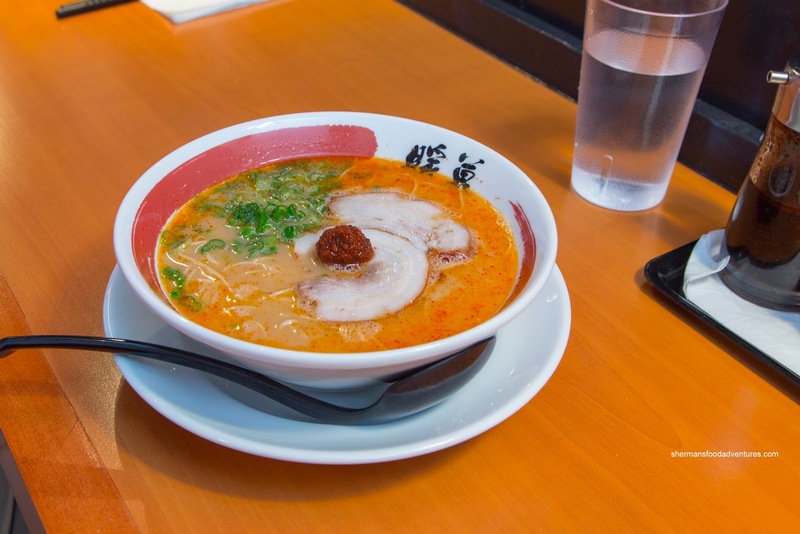 Lastly, Kaiser Soze went for the Blazing Hot Rekka Ramen with Ichimi Togarashi red pepper imported from Japan. Claiming to be 5 times spicier than the regular ramen, I definitely felt the heat. It wasn't unbearably spicy though as I could still taste the pork broth. Since the menu at Ramen Danbo is pretty simple, we almost sampled everything they offered. From that, we were happy with the broth, but the thin noodles were not our fancy though.